Deshawn Corbin is just 15 years old. But he’s already experienced more life than most people many times his age. Deshawn was born with complex congenital heart disease that affected the way blood traveled through his body and kept him from getting enough oxygen. His teenage mother, who’d had no prenatal care, realized she would be unable to care for a child with such special needs and gave him up for adoption. On the day he was born, Deshawn became a ward of the state and had his first open heart surgery. Two additional surgeries soon followed. At age 2 1/2, Deshawn was adopted by Julie Anderson and her husband, Michael Corbin. A wonderful toddler, but not a typical one. Because of his heart condition, Anderson and Corbin brought Deshawn to Mayo Clinic, where he was cared for by a team that would eventually include pediatric cardiologist Ben Eidem, M.D. When he developed juvenile rheumatoid arthritis at age 8, he began seeing Ann Reed, M.D., a pediatric rheumatologist, as well. For years, Deshawn’s conditions were well controlled. Then, in March 2013, things changed. Dr. Reed prescribed new medications to minimize Deshawn’s pain. A few weeks later at a medication review, Dr. Reed noticed a problem with some of his blood work. Deshawn had a series of follow-up tests, including a cardiac catheterization, which revealed new problems with his heart. Deshawn had developed collaterals — abnormal blood vessels that were preventing oxygen-rich blood from getting where it needed to go. Normal oxygen levels are between 95 and 100 percent. His ranged from 75 to 79 percent. Dr. Eidem recommended surgery to correct the problem and raise his oxygen levels. Anderson and Corbin discussed the procedure with Deshawn, then let him decide whether to have surgery. Surgery was scheduled for the end of June. In early May, Anderson received a call from the school nurse at Medford High School. Deshawn’s heart rate was low, and he’d almost passed out. His lips and nails were bluish-grey. They suspected a cardiac problem, and Deshawn was sent by ambulance to the Emergency Department at Saint Marys Hospital. But the symptoms weren’t heart-related. Instead, doctors determined that Deshawn was dehydrated. In the Emergency Department, Deshawn received a dose of comfort from his cardiologist. “Dr. Eidem came in and held Deshawn’s hand and said, ‘We love you. We aren’t going to let anything happen to you. You have the best doctors in the world taking care of you. If it were my own daughter, this is where I’d want this taken care of, and this is the team I’d want to do it.’ That was very reassuring to Deshawn, and to us,” says Anderson. 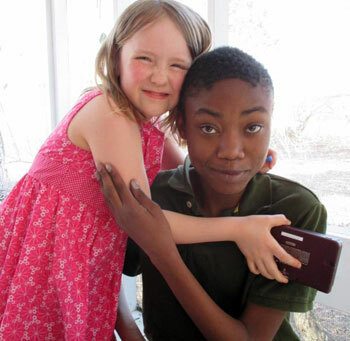 Deshawn Corbin with his sister, Emma. Deshawn was encouraged to eat and drink normally, and was prescribed medication to help him sleep at night. And to reduce the time he had to worry, Deshawn’s surgery date was moved up to June 4. On the day of surgery, it was Anderson’s turn to be nervous. “Deshawn was anxious to get surgery behind him, so that day he was so excited you’d have thought he was going to Hawaii,” she says. But sitting in the waiting room was no vacation for Anderson. Instead, Anderson and Corbin soon got word that everything had gone right. Harold Burkhart, M.D., a cardiovascular surgeon, performed a Fontan procedure, creating a path for the oxygen-poor blood returning to the heart to flow directly into the pulmonary arteries, which then transport the blood into the lungs. Anderson and Corbin were taken to the intensive care unit to see their son. Anderson says the staff were the right mix of professional and personal. She also appreciated the way the team cared for her son. Four days after surgery, Deshawn left the hospital. Six weeks later, with his oxygen levels up to 92 percent, Deshawn was having the summer of his life. There have been other changes as well. 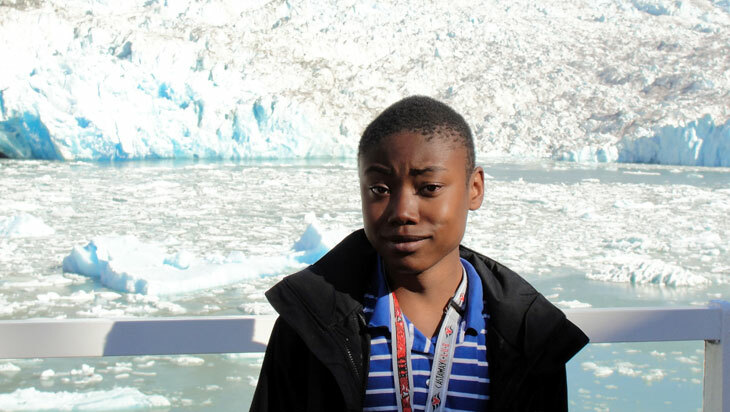 "Deshawn is one of the most impressive people that I have ever met ... Helping him to feel better and become as active as he wants to be is truly a joy for me and our entire medical care family." – Ben Eidem, M.D. That wisdom and depth is apparent to his caregivers. If she could go back in time, Anderson would try to focus less on her fears about surgery and more on what life would be like afterward.